Should you hire a property manager while travelling or living abroad? 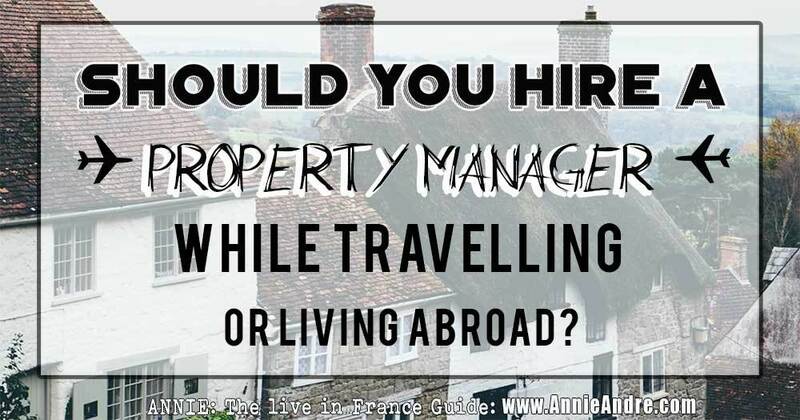 >> Should You Hire A Property Manager While Travelling Or Living Abroad? Renting your home out and collecting passive rental income while travelling the world or living abroad sounds like a dream come true. However, being a long distance landlord has it’s own set of unique challenges which may require the help of a property manager. Here are a few of the ones we had to deal with. What could be better than sitting back and collecting a rent check on the first of every month-automatically of course- while you zigzag the globe or live abroad? Then when you’re ready to move back in, your tenant happily agrees to move out-leaving your home in perfect condition because they looked after it as though it were their own. Unfortunately, managing a rental property rarely lives up to the dream because things can and do go wrong. 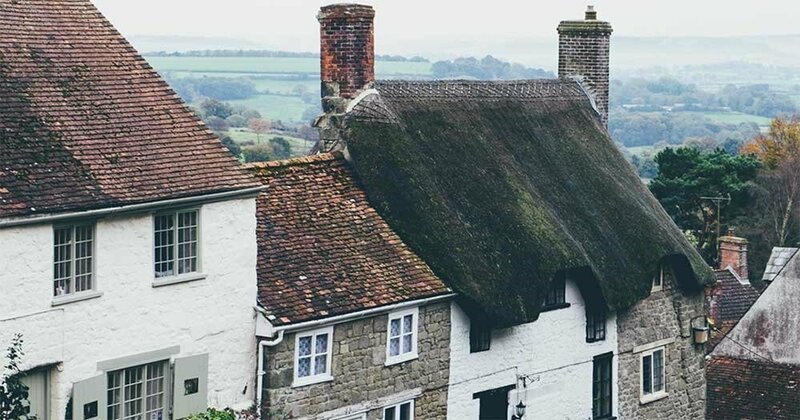 Even when things are going well, being a landlord still has certain responsibilities and challenges that must be dealt with. When you’re a long distance landlord- managing your property while travelling or living in another country adds a whole other layer of complications and challenges which you may not be able to deal with without the help of a property manager or some creative problem solving. The issue with receiving a rent check. For years my tenant in California mailed his rent check to me. It wouldn’t have been an issue except for the fact that I lived in France- which besides the obvious time lag, created some unforeseen complications. Tip: If you can avoid it, ask your tenants to pay the rent electronically rather than sending you a check in the mail. Where do your tenants send the check if you have no permanent address abroad? Obviously if you have no permanent address while abroad, receiving a check in the mail is going to be next to impossible. Here are a few possible solutions. Can your tenant drive to your bank and deposit their monthly rent check into your bank account if you give them a stack of deposit slips? Maybe, as long as your bank allows check deposits in your account without you having to sign the back of the check. USAA- my bank does not allow this and has very few physical addresses. You could ask your tenant to mail the check to a close friend, family member or property manager who in turn deposits the check for you every month. How do you deposit the rent check into your bank account while abroad? Tip : If you absolutely must receive a physical check in the mail, use your banks pay by phone app to deposit it. Even if you do have a physical address while living abroad where your tenants can mail you their rent check, you still may have some hurdles to jump through. Let’s assume you have a rental property in the US and you live in France. You can’t just drive over to Bank of America and deposit your US based check because Bank of America doesn’t exist in France. You could deposit the US check into your French bank account (assuming you have one) however that French bank may charge you a fee and can take several weeks for the funds to clear your account. For example: My bank in France -Société Générale, charges a fee of about 17 Euros to cash foreign checks. Not a big deal but multiply that by 12 months and you’re looking at almost 200 Euros in check cashing fees a year- or 230 USD (depending on the exchange rate). Then there’s the delay in funds clearing your account which can take several weeks. And finally, there’s the issue of depositing a check in a foreign currency. The bank will automatically convert your US check to Euros which might be fine but if you’re like me, you’ll want to keep your funds in US dollars to pay for some US expenses. Do you really want to convert your US check into Euros only to turn around and convert it back to USD to pay for your US bills? 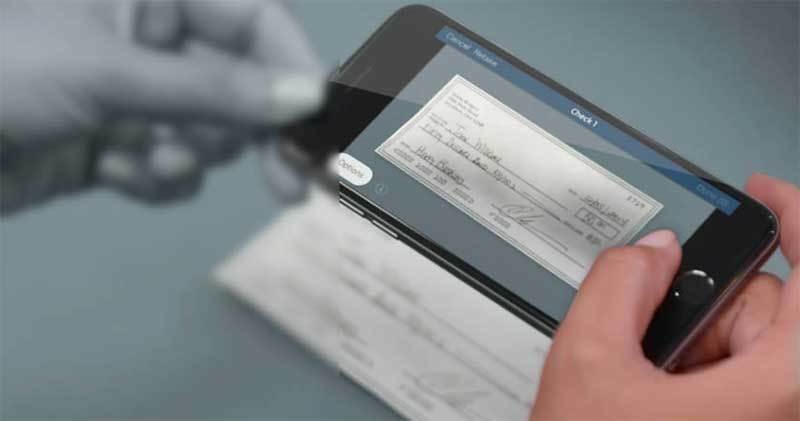 Most banks have a phone applications and with it, an extremely fast and easy way to deposit any check you receive in the mail. You simply fire up your banks phone app, take a picture of the rent check- front and back and hit the deposit button. No mailing your check to your bank with a deposit slip or waiting weeks for the check to clear. The funds usually clear your account instantly or in a few days. Nowadays, I require tenants to pay their rent via direct deposit. There are several ways you can do this so you should pick the one that works best for you and your tenant. (these are US based examples which may or may not be available in your country). If your tenant banks at Chase, they can use a service called “Chase QuickPay”. It allows your tenant to send you money directly from their bank to your bank account. Once the funds are sent, you receive an email. Some banks allow you to transfer and send money to a recipient with nothing more than their email address. You’ll need to check with your bank and your tenants bank to see if this is possible. There are many online sites which offer this service to landlords. The one I use is a very basic rent collection service called Cozy– It’s free for both the tenant and landlord. My tenants set up automatic payments. No waiting for checks in the mail. No mailing checks off to your bank to be deposited. The rent just shows up in your bank account automatically which I swear is like magic and has literally changed my life. Not only can I see exactly when the payment was initiated, I know exactly when the funds will clear my account. Did I mention it is free and secure. There are other sites which offer more services which could include anything from the ability to upload leases and documents, to the ability for your tenants to send you a repair request. But most of those services usually cost a monthly fee which could be less than 50 USD to a couple of hundred dollars a month. And of course, you could hire a property manager to collect rent on your behalf. The beauty of this is that the property manager ensures that your tenant pays on time and deals with the tenant if the rent is late. How do you deal with repairs and maintenance? Things are going to break. A toilet, a garage opener, a pipe. As the landlord, you are responsible for getting these things fixed. In the past, when I had a single family home to manage, I asked my tenant to arrange for small issues to get fixed which I would reimburse at the end of the month or deduct from their rent. But not all tenants may be willing to do this. For whatever reason, you may not want them to do this either. When big things break and need to be repaired or you have multiple properties which you are trying to manage, that’s when things get complicated. One year, my rental property’s roof started leaking. I looked up a roof repair guy and arranged for him to drive out to the property. It turned out that my home needed a new roof. New roofs in California are not cheap so I asked several roofing companies to go in and give me estimates. Then I coordinated with my tenant and the roofing company to get the work done. It was kind of a living hell arranging all of this from France. Not only did I have to deal with the time difference, I had to choose the roof via photos, I couldn’t inspect the work myself and my tenant had to be available for the roofer. That’s just one house. What if you manage multiple homes, a duplex or triplex? This is where a property manager comes in handy. My current property manager handles everything for me now. The tenant calls the property manager with any issues and the property manager handles everything, the estimates, meeting the repair guys, inspecting the work etc. What if you have to evict the tenant? Imagine how complicated it would be if your tenant breaks the lease while you’re abroad. How will you evict them while your travelling? There’s usually a tremendous amount of red tape for a lawful eviction. Then once they’re out, what do you do? Do you leave it vacant or do you try to find a new tenant which brings me to my next point. How will you find and screen a new tenant? If you’re in the beginning stages of planning your travels, you can probably find a tenant to rent your home before you leave. If you’re already abroad and you need to find new tenant because you had to evict the previous tenant- well it’s kind of impossible to do from abroad. You have to get the property in move in condition, take pictures, put up an ad, make appointments to show the property, screen potential tenants and run background checks. And finally you need to draw up a lease, a legal lease. Not really feasible for you to do yourself if you’re travelling or live abroad without the help of a property manager. How will you keep an eye on your house? No one will take care of your home as well as you do. It’s just a fact of life. But if you’re a long-distance landlord, how will you ensure that the tenants are taking good care of your house and yard? Property managers can help keep an eye on your home and do an occasional walk through- if that’s what you want. This ensures that there won’t be any surprises when they move out like holes in the walls or other damages that need to get repaired. Owning rental property can be a great investment and can help offset your travel costs while your gallivanting across the globe but as you can see, being a long distance landlord is more difficult than a landlord who lives in the next town. If you only have one home to manage you might be able to do it, provided you have a half way descent tenant who is flexible. But do you want to and is it best for your property? Depending on where your property is located, costs and fee structures will vary. For instance, in the US, property managers can charge anywhere from 8 to 12 percent of the monthly rent or they might charge a flat monthly fee. Property managers may also charge a commission for finding a tenant which again depends on where your property is located. Some may charge one months rent while others might charge a flat fee. Only you can decide whether or not you should hire a property manager. But from one long distance landlord to another, I highly recommend you do hire one. Call up a property manager in your area and start asking questions so you can make informed choices.